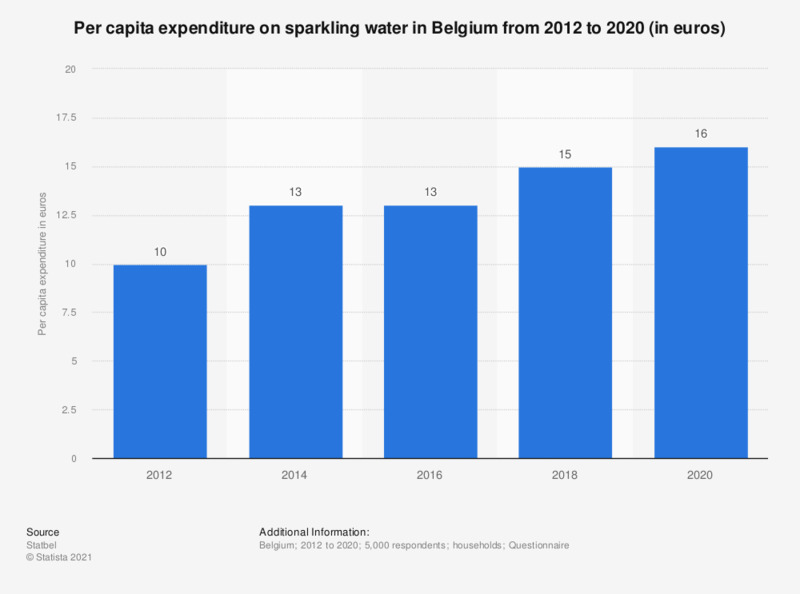 This statistic displays the per capita expenditure on sparkling mineral water in Belgium from 2012 to 2016 (in euros). In this period, the spending on sparkling mineral water increased. In 2012, an average person in Belgium spent approximately ten euros on sparkling mineral water. By 2016, this had increased to 13 euros per person per year.